Aloha! Our Tropical Island Jumper is great for a Luau, or any tropical themed event. 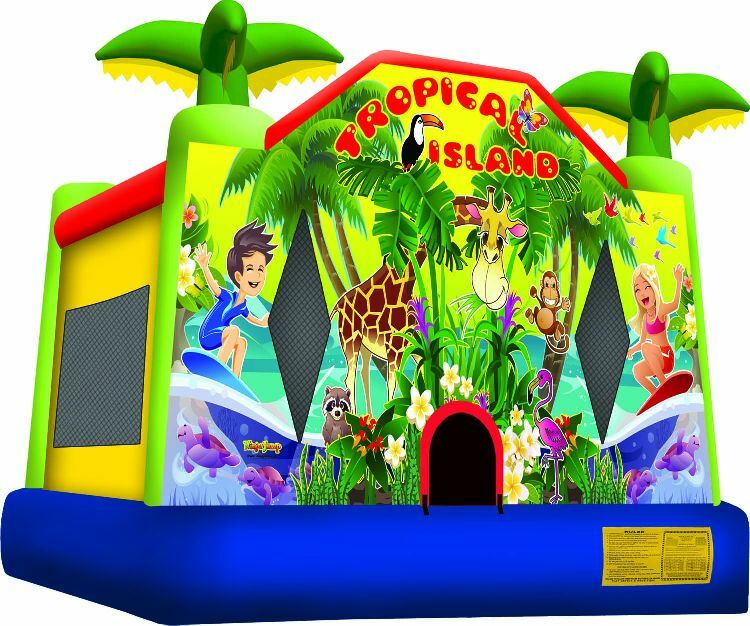 Made of lead free, fire retardant vinyl, this jumper is 14’4″ long x 13’4″ wide x 12’8″ high and perfect for kids 36″-70″. It also includes an access ramp and child safe mesh. It’s sure to delight your guests and provide hours of fun! Rent yours today for just $94! Please add a generator ($45) if your event is in a park.